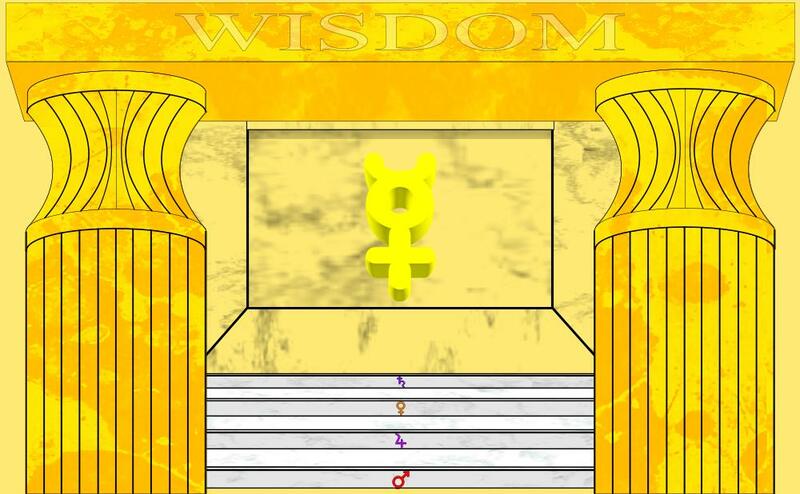 STAGE 5 represents Mercury and Wisdom. This stage introduces the Kabbalistic Sephirot in the Tree Of Life covered in Spiritual Evolution Or From the Fool to the Hermit Part One PDF and Two PDF available on this site. Consequently, this stage will be divided into two parts. Part one examines the chief principles of consciousness as presented in the first row of the Rider-Waite Tarot Tableau. It also introduces the association of the Kabbalistic Tree of Life and the Sephirotic consciousnesses in relation to evolution. Also covered is the relevance of colors in wisdom teachings along with the different numbers of accepted elements used in the: 4- traditional, 5-Chinese, and 3-Kabbalistic schools of thought. Part two of this stage introduces you to the connection between the Tree of Life, the individual Sephirot, the twenty-two Major Arcana cards, and the different aspects of consciousness in the human being. It does this through a detailed study of the Sephirot in the Tree Of Life and their relevance today for understanding the term “Fullness Of Time”, in Spiritual and physical Evolution. This stage also lays out how the Mysteries were hidden in the Archetypal images, concealed in multiple symbols, numbers and the Tarot Tableau. Finally through a vision that was given to Suzzan, we can see what role the 777,000 and the 144,000 do play in Spiritual Evolution. The information for this stage can be found on Ancient Wisdom For Now site page.